As with many Templar sites, you can read various conflicting information about this church and I have therefore taken most of the information which I present here from the reference book mentioned at the foot of the page, which I regard as a reliable source. The Church was founded c. 1130 and 'restored' in 1841. It was built by the 'Fraternity of the Holy Sepulchre' after Abbot Reinald of Ramsey granted them the site which had previously been St George's cemetery. Originally it was constructed as a wayside chapel, being near a crossing of the Colchester Road. Later, around the middle of the 13th Century it became a parish church of the Augustine order from the nearby Hospital of St John. Whilst round churches are generally associated with the Templars, this one would appear to have a different founding body. The Round Kirk of St Nicholas, Orphir, Orkney. The latter was built by Earl Hakon around 1100 and is I believe the only round church in Scotland. With regard to it's circular shape, this would appear to derive from the Church of the holy Sepulchre in Jerusalem and not from the rectangular Temple of Solomon or the octagonal Dome of the Rock, which stands in the same site location as some writers have suggested. The Church of the Holy Sepulchre, build on the site of the Temple of Venus, was founded by Helena, the mother of Constantine the Great in 335, though destroyed by the Persians round 614 but rebuilt in 630 only to be destroyed again in 1009, when it was pulled down to its foundations. Some small chapels were built around 1048 and eventually from 1099-1149 what is essentially the present structure was built. 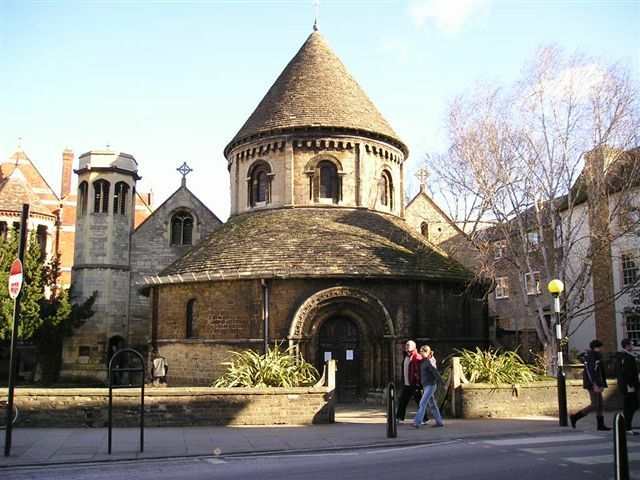 The Sepulchre itself is housed under a large Byzantine style Romanesque dome, which can give the impression of a round church.